Udham Singh’s Portrait in Parliament? Prem Chandumarja, Punjab MP on July 31, Tuesday appealed to the parliament that it should have a portrait of freedom fighter Shaheed Udham Singh on his death anniversary. Udham Singh was a born nationalist in the princely state of Patiala. He is known for his assassination Sir Michael O’Dwyer to avenge his thirst of revenge. 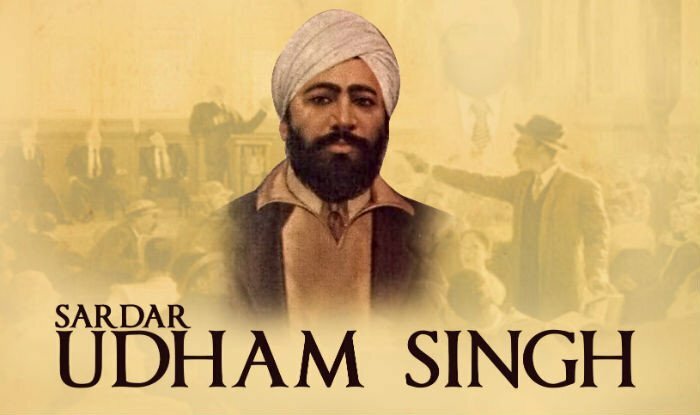 of Udham Singh aka Sher Singh had lost its parents at the age of 7 years and long with his brother was sent to the central Khalsa Orphanage on October 24, 1907. Sher Singh received the name “Udham Singh” as he was administered the Sikh initiation rites at orphanage. He was present on the ominous day of Jallianvala Bagh 13 April 1919 when General Reginald Edward Harry Dyer fired upon the peaceful assembly killing thousands of people on the day of Baisakhi. This fatal event turned Udham Singh on the path of revolution and he had pledged to take revenge for thousands of innocent deaths. On March 13, 1940 at 4:30 pm in Caxton Hall, London, where the meeting was being held by East India Association in alliance with Royal central Asian Society, Udhan Singh shot 5-6 bullet shots from his pistol at Sir Michael O’Dwyer who was the Governor on duty on Punjab at the time Jallianvala Bagh massacre occurred. Lord Zetland, secretary of State of India was also injured during this firing. On April1, 1940 Udham Singh was formally arrested in charge with the murder of Sir Michael O’Dwyer and later hanged to death in Pentonville Prison in London. Udham Singh was the follower of Bhagat Singh. Hence, remained cheerful and calm till the end and saved his statement for his trail as he followed the path of patriotism of his ideal Bhagat Singh. In 1975, Government of India finally succeeded in bringing the ashes of Udham Singh back to India and then lakhs of people had come to pay their homage to the brave heart who dies fighting for justice in India and people of India. Udham Singh in true sense had contributed in struggle of India for freedom. Therefore, Prem Chandumarja MP of Punjab demanded the portrait of Udham Singh to be hung in Parliament and even in the Jallianvala Bagh, Amritsar on the completion of 100 years of this massacre to pay our respect, gratitude and tribute to the courageous man of India, Udham Singh who will always be remembered with respect in our hearts for this contributions for our mother land, India. Next articleCan Ramkumar Ramanathan create history?